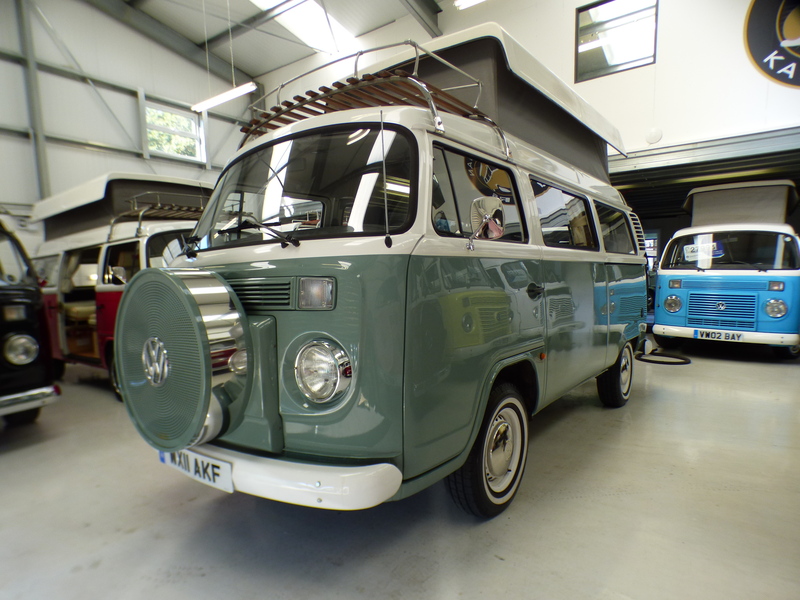 2011 VW Danbury Diamond, 4 berth, 5 seater, only 6000 miles, power steering, £36995. 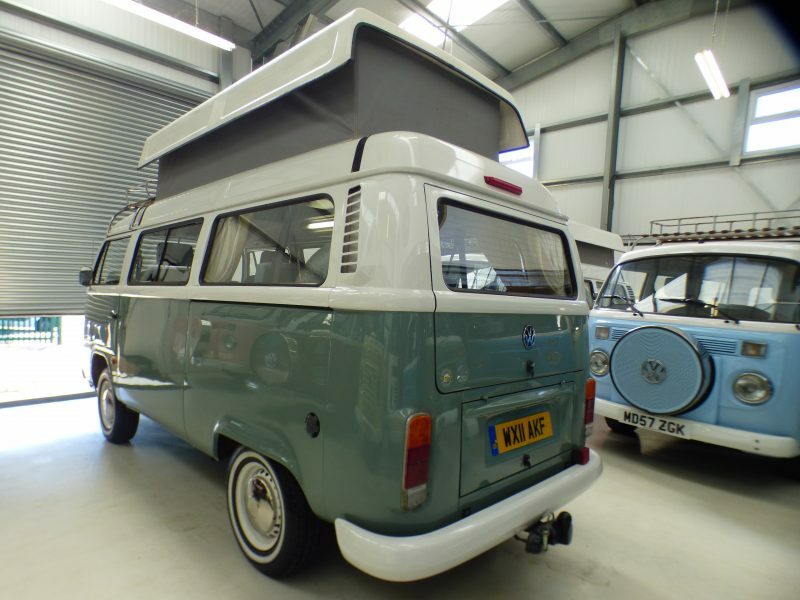 Home » Product » 2011 VW Danbury Diamond, 4 berth, 5 seater, only 6000 miles, power steering, £36995. 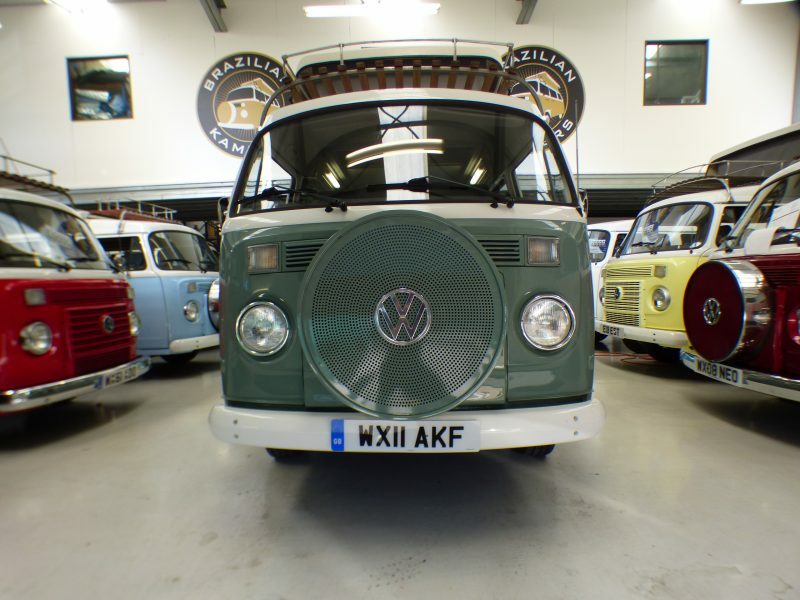 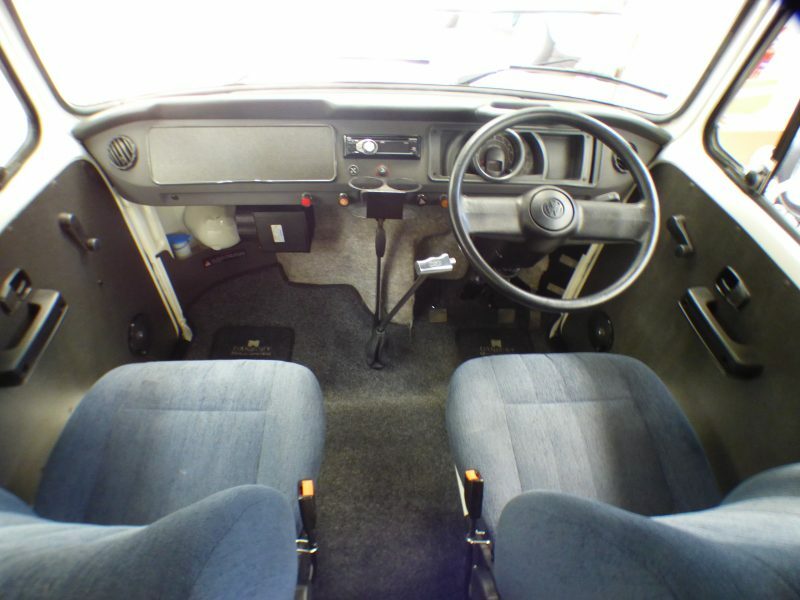 Key to the appeal of the Brazilian Kombi is its ability to change style easily. 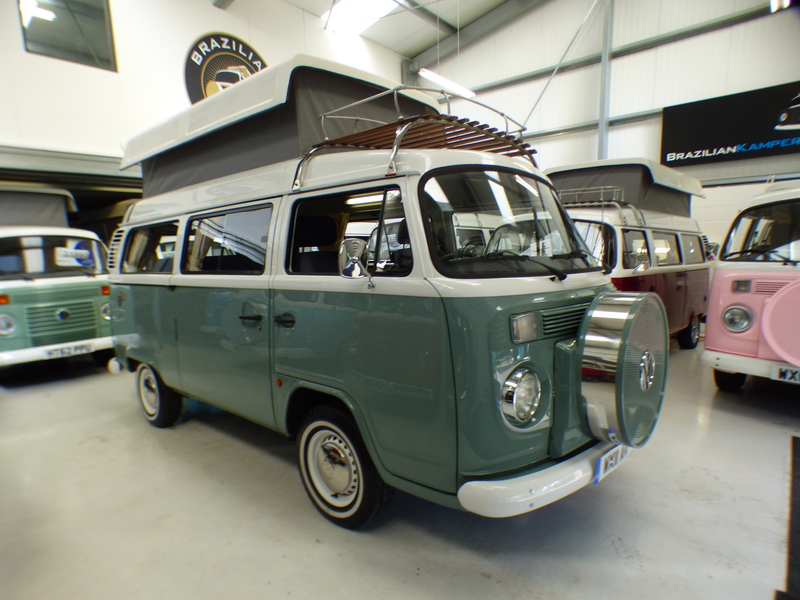 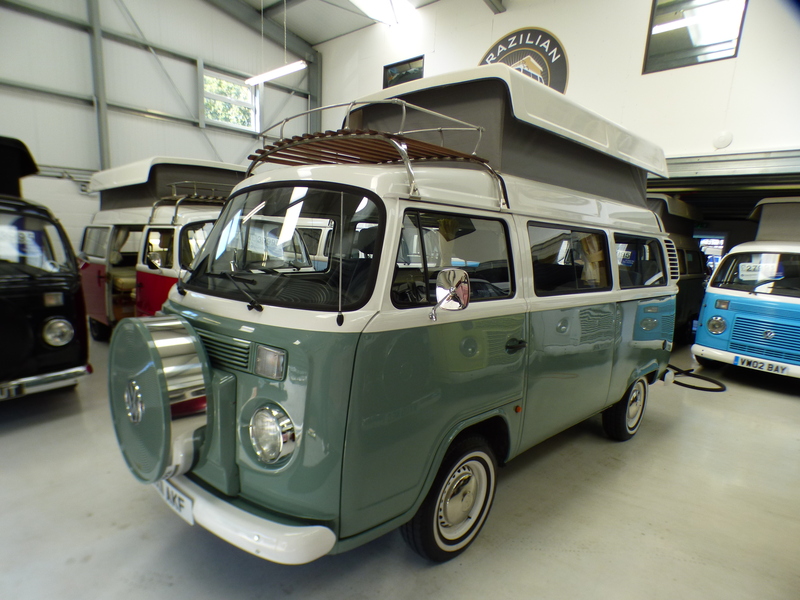 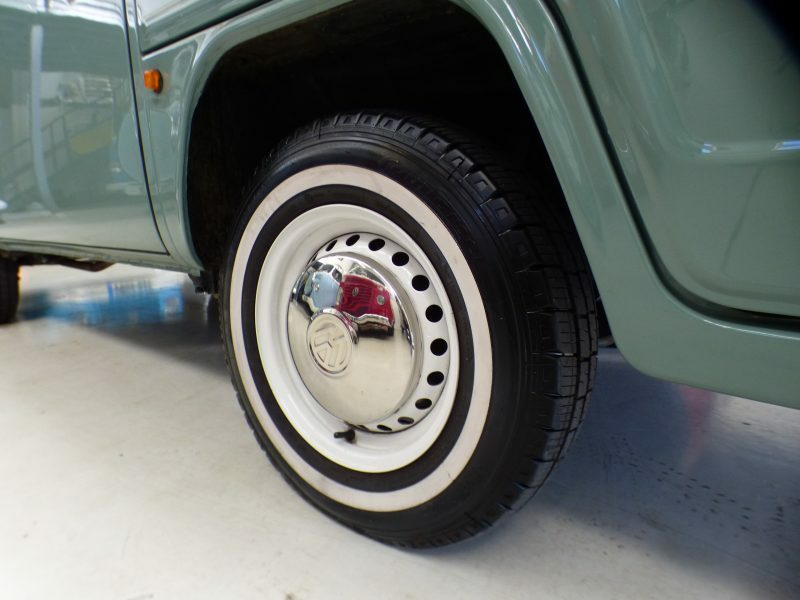 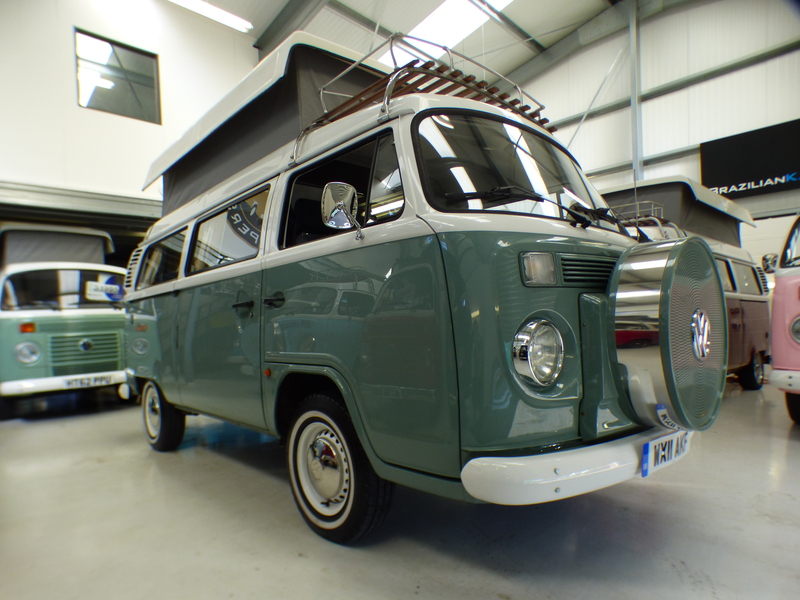 With its white-banded tyres, chrome details and rich Olive Green paintwork under White, this very low mileage 2011 Danbury Diamond really does look and feel Classic!! 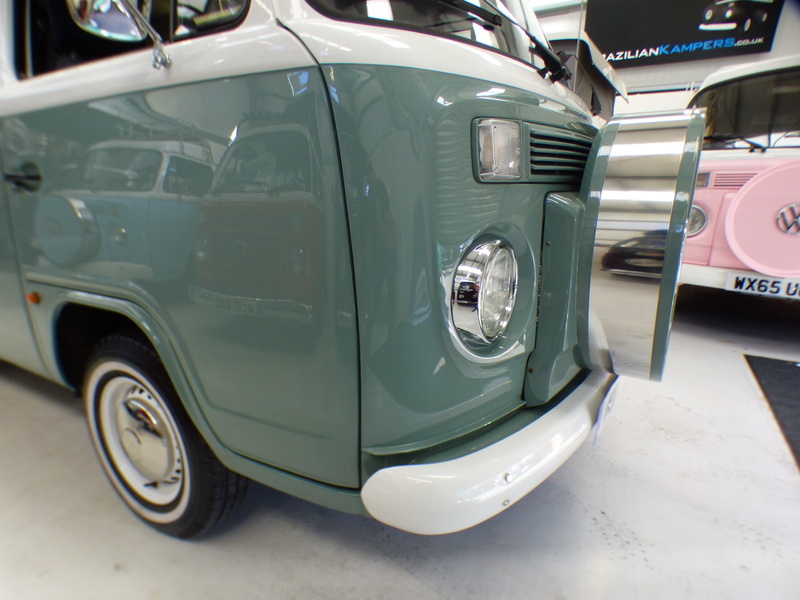 Its wooden cab roof rack, fake front spare cover, white bumpers and wheels, chrome hubcaps and mirrors make for the look of the late 1960’s T2 model sold in the United States. 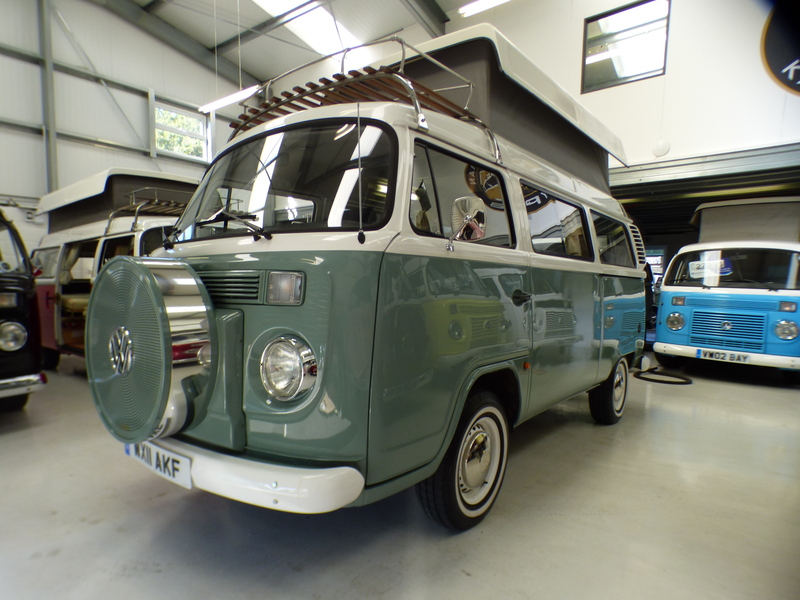 But without the wiring and mechanics from that period!! 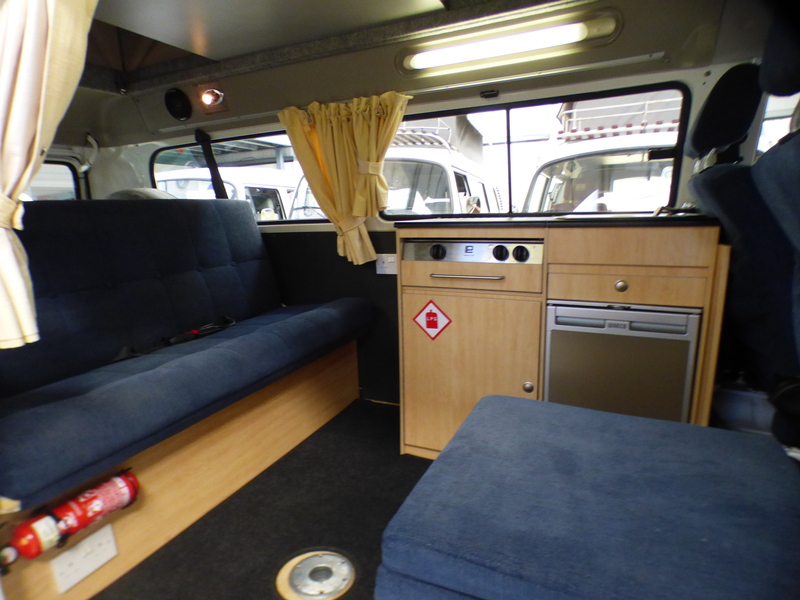 The contrasting blue cloth seats, wood effect vinyl flooring under fitted carpets and matching blackout curtains create a homely interior. 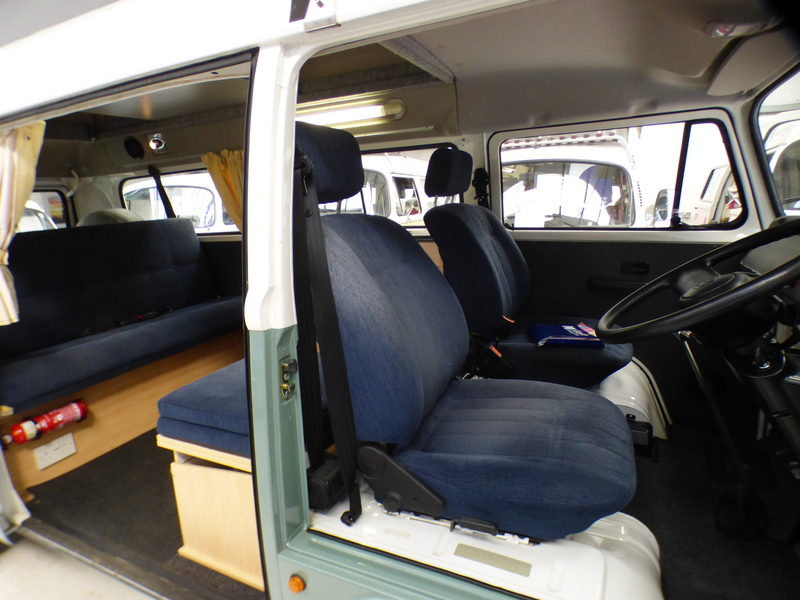 This Kombi carries 5 comfortably, up front the driver and passenger seats have 3 point seatbelts, as do the outer seats in the rear, with a lap belt fitted to the centre. 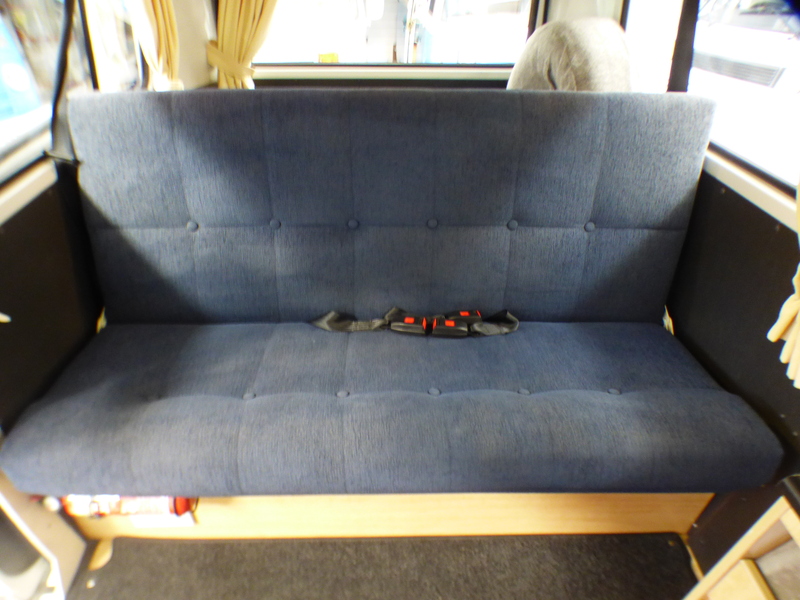 We can install a further 3 point seat belt if required. 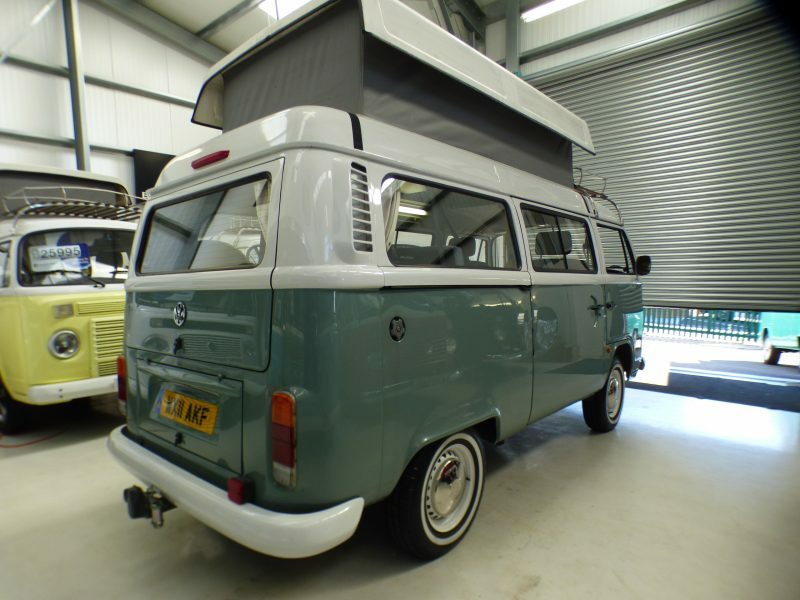 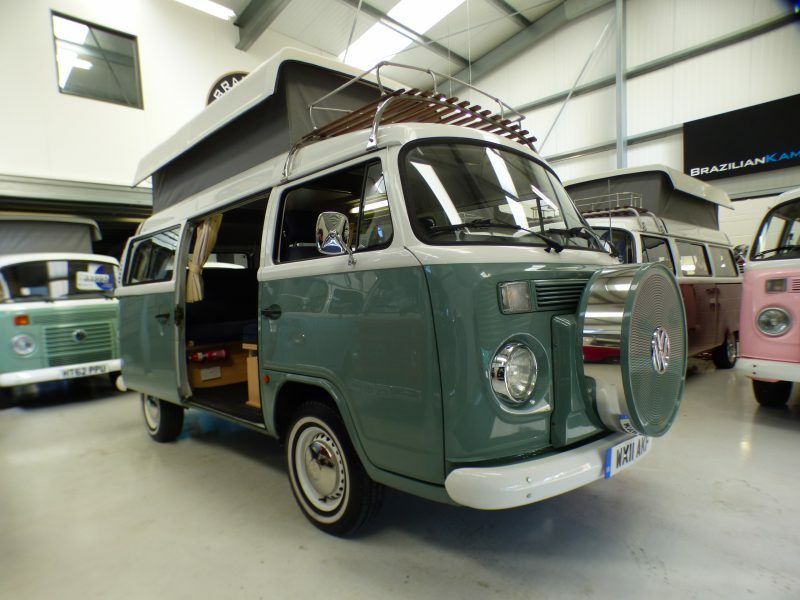 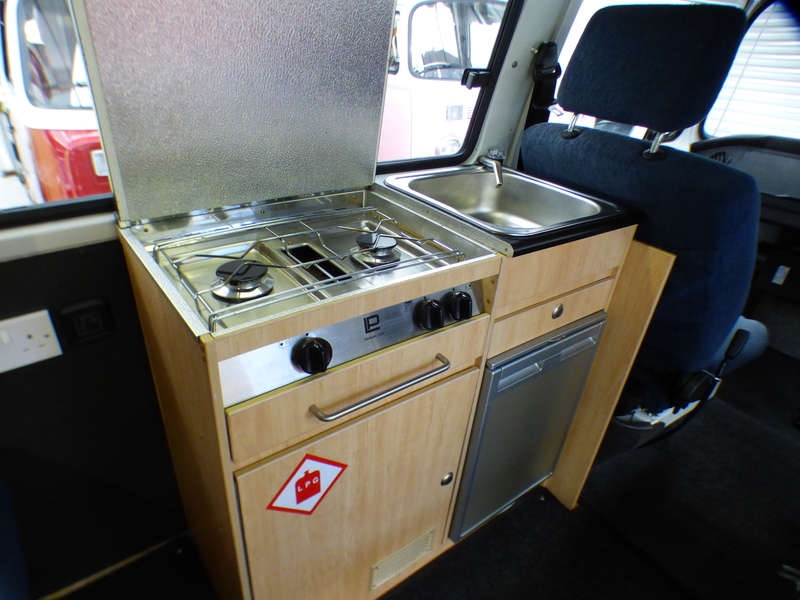 Raising the pop-top and unfolding the included bed boards, turns it into a 4 berth camper – 2 up, 2 down. 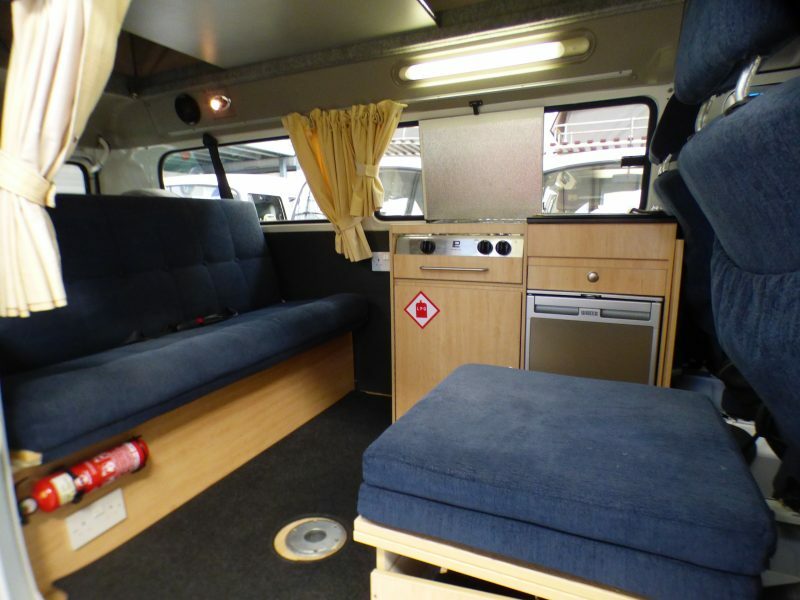 The Diamond conversion means a full-width bed for the lower cabin. 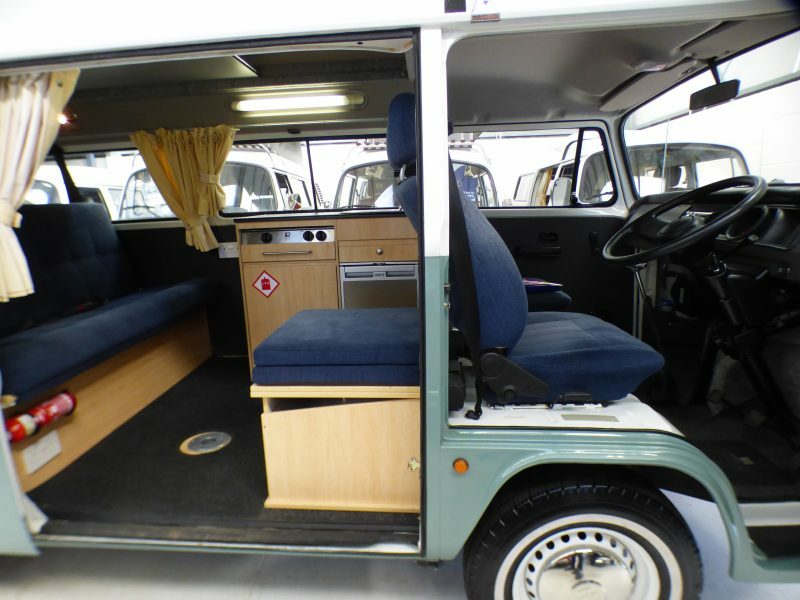 Flipping the buddy seat open enables 5 to sit within the cabin around the removable table.